nsidr / Memory Leak Lane: Adventure time! Memory Leak Lane: Adventure time! During my earliest days of playing video games, I was a fan of action. I played the Super Marios, Adventure Islands, Ninja Turtles and other games sporting a similar focus. Games that started you at the beginning of a linear level and challenged you to survive until the level's end, then rinse and repeat until the game was complete. 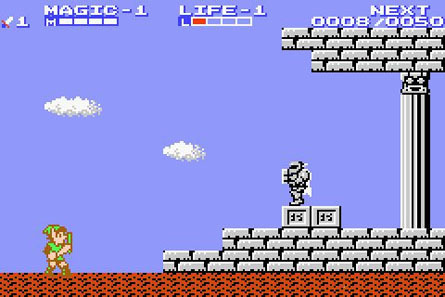 On the NES, my brief experience with the likes of Zelda 2, Castlevania 2, and Metroid simply showed me that I hated getting lost and not knowing what to do. I'd never played an RPG either, but I had a friend who loved them. He owned a Genesis, and any time he came over he asked if we could go rent a role playing game for my SNES. In this way, I did gain a lot of experience with the genre...by watching him play. It wasn't completely passive, he'd get stuck a lot and I'd help him figure out whatever puzzle was blocking him, but it all seemed so dull. It wasn't until quite late in the life of the SNES that my interests began to expand, and once again it was Nintendo Power pushing a particular game that caught my notice, and changed everything. 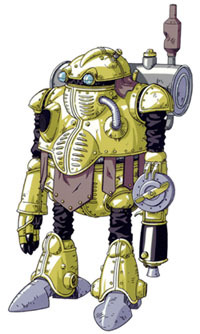 On one hand, Chrono Trigger was probably the best introduction to the RPG genre a person could have. On the other hand, it set the bar so high that for a few years I turned my nose up at a lot of perfectly good RPGs (including Final Fantasy VI) because they weren't Chrono Trigger-esque enough. I was an odd mix of casual RPG fan and RPG snob I guess. 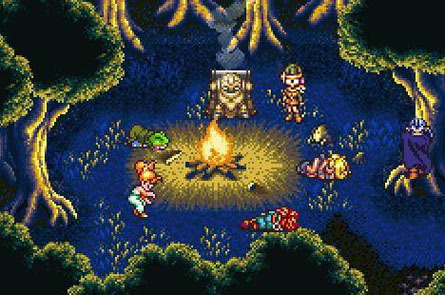 Still, Chrono Trigger is special; a game not simply a classic, but a timeless classic that remains unmatched today. That's not to say modern RPGs are in some way lesser than Chrono Trigger, but rather, Chrono Trigger succeeds brilliantly with a very simple formula that has yet to be attempted with such perfection (at least in my experience). For me, it was the relationship the characters had with the story that made the game so compelling. The plot involving Lavos was merely backdrop, the excuse for events to happen, and not particularly focused on in the narrative. The story itself consisted mainly of vignettes personal to the playable characters. Side quests centered on back stories, character relationships, and interactions with the world; the infinity +1 sword that might be gained at quest's end being a mere bonus, rather than the goal. This focus on the individual struggles of the characters, rather than The Situation, to drive the narrative, gives Chrono Trigger an immediately relatable emotional hook. Of course, it also helps that the characters are charismatic and straightforward. Each character is a very clear archetype, but kept from being one-dimensional by what insight the story gives us into their motives. Only Crono himself has little substance to his personality since he suffers from silent protagonist syndrome. Chrono Trigger is a game that opens a window into the lives of its characters that lets us know them, but doesn't pile on unnecessary layers of complication in an attempt to make a simple tale seem sophisticated. I for one find the clear storytelling refreshing in a genre that has a bad habit of loading up plots with obfuscating complexity. I very nearly missed this game. The SNES was at the end of its life and the N64 was already out when I decided to try my second Zelda game. 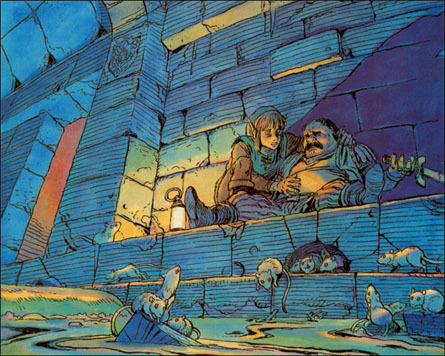 My introduction to the series with Zelda II went rather poorly, as I had no idea what the game wanted me to do. Link to the Past ended up being my very first eBay purchase. I got it pretty cheap, no box (boo!) but with a nice strategy guide included. I immediately re-purposed an N64 memory pak box to house the game. At least the guide was nicely illustrated. Back in 2009, I wrote an article about the state of the Zelda series, comparing how content was spread out in the 2D games vs. most of the 3D ones. Link to the Past really is packed with delightful surprises I inevitably forget about then rediscover each playthrough, not to mention the occasional thing I never knew about before. For example, only on this most recent revisit did I learn about the third upgrade to the sword. I always thought the fat fairy just enhanced my arrows! Meanwhile, other mysteries have yet to be solved. I still don't know what to do with the guy in the desert. I guess it's time to cave and consult the internet. Really, what more can I write about Super Metroid, or the Metroid franchise in general that I haven't already said? I've dedicated expansive articles to each game in this, my most beloved series. Super in particular is a game I've replayed more than any other game, and still haven't found 100% of the items, though I came closer to it this latest go around than ever before, with 92%. Perhaps the most interesting thing to note this time comes from finishing Link to the Past and going straight into Super Metroid. The differences between these games may be apparent, but the similarities are foundational. Both games are action adventures, where most of the world is inaccessible at the start. Progress into new areas is based on your inventory as new tools or weapons give you the ability to triumph over obstacles. Both games mix elements of action, puzzle solving, and exploration to roughly the same degree. There is, however, one key difference to how the games are structured that, I think, has had a significant impact in how these series have been perceived by fans. Around the time of Wind Waker's release, the Zelda series began to be seen as suffering stagnation. More so than Metroid, Zelda follows a formula of progression. There is an overworld area that has one or more towns in it and monsters wander the wilderness areas. There are dungeons that must be found and entered, within which the bulk of the game's challenges await. The treasure in the dungeon must be acquired in order to complete the dungeon, culminating in a battle with a boss monster who, upon defeat, coughs up a plot item and a health expansion. This pattern is repeated until the game ends. Various Zelda titles have tried to mix things up, most notably Skyward Sword, but for the most part, the formula has remained intact. Oh, hello. Didn't see you standing there. 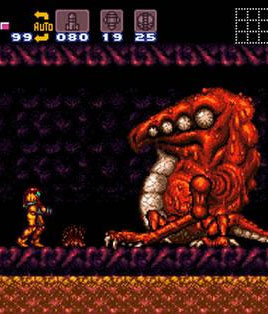 The Metroid series presents the same basic challenges, but doesn't give them such a rigid structure. There is no break-up of the game's world into field and dungeon—the puzzles and combat are evenly distributed throughout the game. Boss battles, both major and minor, are not always broadcast in advance. It's common to stumble upon a challenging boss unexpectedly, which certainly keeps players on their toes. 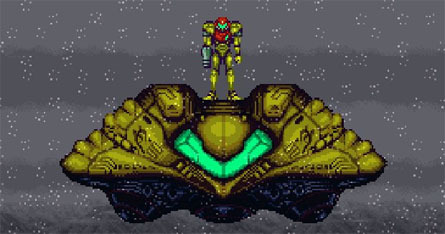 This more fluid structure and continual feed of interesting things to see and do has kept the Metroid series feeling fresh and dynamic, despite its long running age, and while Zelda's latest entry has taken a few interesting steps in the right direction, I think it could learn a few things from Metroid. Time to say "until next time" to my old SNES as it needs to give up its slot to the N64. I've been playing Mario Kart 7 lately which really makes me want to revisit this series as it was during earlier, more innocent days, days before the item clusterbomb. Days when you could reach first place and focus on actually racing, rather than listening with dread for that hissing sound heralding your doom. While I'm at it, I think I'll also revisit Nintendo's other racing series, the one they seem to have forgotten about.